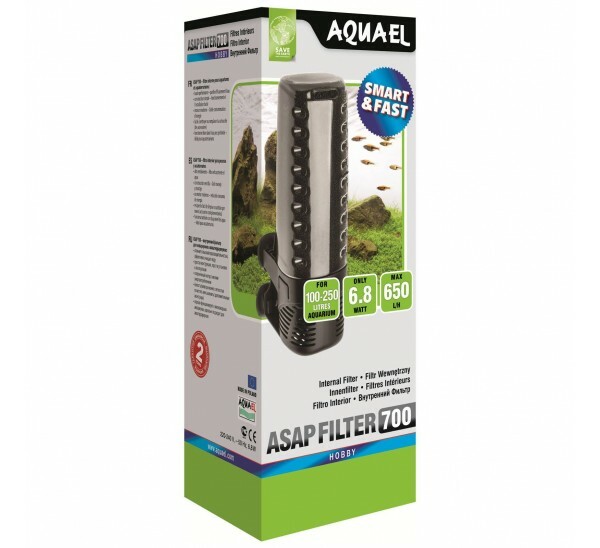 The revolutionary ASAP filters by Aquael combine high performance and great features with a clever design that reduces maintenance time. 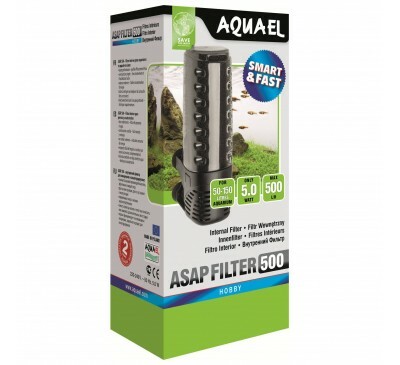 The ASAP internal filter consists of a modern energy-efficient motor placed in a stylish housing with a large transparent filter bowl filled with carefully chosen filtration sponge. The sponge is quickly populated by beneficial bacteria, so water passing through the filter undergoes biological as well as mechanical filtration. As a result, it remains clear and safe for the inhabitants of the aquarium. The filter has two simple maintenance procedures. One consists of replacing the filter bowl cartridge. The other involves rinsing the filtration sponge in water drained from the tank (note: do not use tap water). This operation can be performed without the need to remove the entire filter from the aquarium tank, which is very convenient and significantly reduces maintenance time. The filter is suited for use in aquaterrariums, since they can operate in shallow water as little as 5 centimetres deep. In addition, they effectively oxygenate water in the tank by causing a strong movement of the water surface. There are three models of the filter available, with a capacity of 300, 500, and 700 l/h respectively. They are designed for use in aquarium tanks with capacities ranging from a few dozen to 250 litres. For full product specification, please see below. 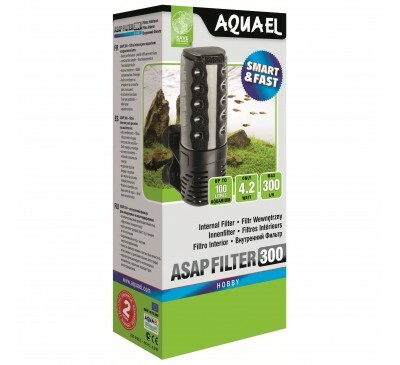 The revolutionary ASAP filters by Aquael combine h..